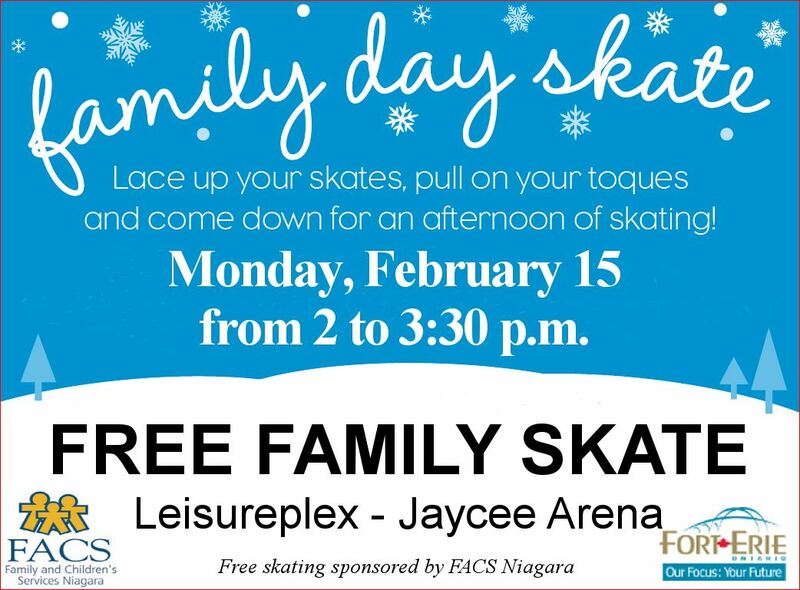 Join us at the Leisureplex on Family Day (Monday, Feb. 15) from 2 to 3:30 p.m. for FREE Public Skating! This event is in partnership with Family and Children’s Services Niagara. Admission is Free!